Come on a thrilling journey through the songs and dances of Latin America, from some of the most famous tangos by Piazzolla (and others which you’re sure to recognise from films), to mambos, bossa nova and some improvised salsa! In a wonderful program of piano, guitar, voice and a host of South American instruments, let yourself be transported to Argentina, Chile and Brazil by two of Australia’s leading exponents of this music. Daniel Rojas is a Chilean-born Australian concert pianist and highly acclaimed composer who specialises in the rich and vibrant Latin American musical aesthetic. Having earned several national prizes, and a Doctorate in composition in 2012, Daniel has performed solo concerts in Australia, Asia, and South America as well as with numerous classical and world music ensembles (such as Jacana, Tigramuna and the Great Bowing Company). Chilean-born Carlos Villanueva is a multi-instrumentalist musician, composer, singer and teacher who has performed in countless Musica Viva concerts in Australia and overseas. In addition to composing and recording including an ARIA-nominated album, Carlos also leads his own ensemble, Tigramuna, which has played at many international jazz, world and Latin festivals, including a highly successful tour to Chile and Cuba in 2012. 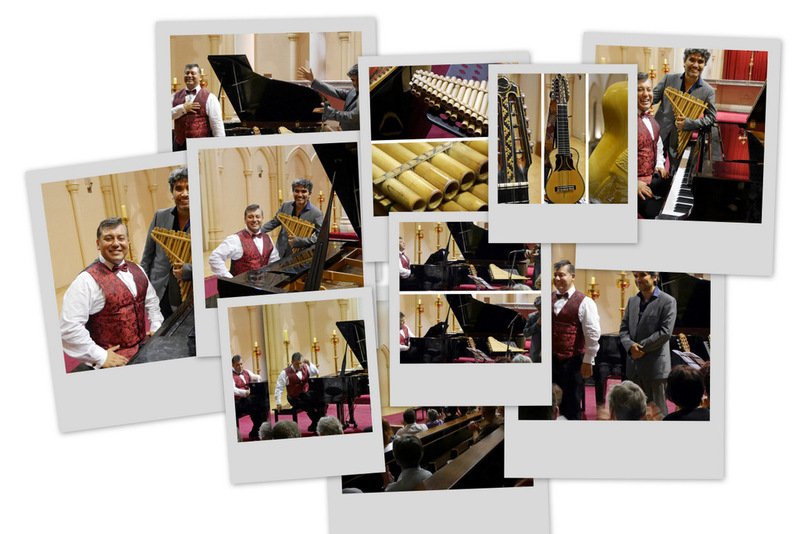 CLICK HERE or on image below to see photos from the performance. CLICK HERE for Concert 5 Programme.